Titanium dioxide was produced here under Kerr-McGee and later Tronox. It is an inorganic pigment that whitens and brightens hundreds of products, for example paint, plastics, paper, cosmetics etc. Kaolin, a Georgia export, is used as a less-expensive additive to supplement the whitening effects of titanium dioxide. Tronox, through a bankruptcy settlement with the EPA, continues to operate its sulfuric acid plant to generate revenue under an operating agreement setup by the bankruptcy court. Tronox filed for bankruptcy protection in February of 2011. 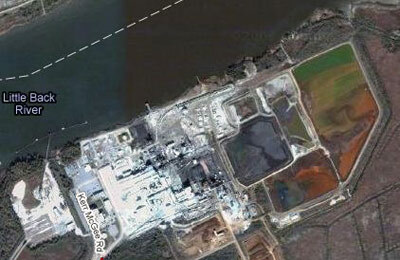 It is currently known as Savannah Acid Plant, LLC which produces sulfuric acid for various industrial applications.